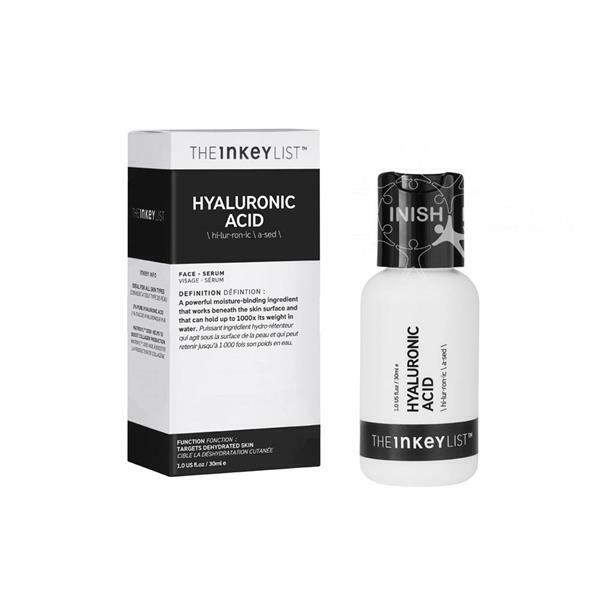 The Inkey List Hyaluronic Acid serum is a must-have product to ensure skin is hydrated, essential for healthy skin. Hyaluronic Acid (HA) acts like a magnet for moisture within the skin cells and can hold up to 1000x its weight in water, helping your skin retain as much as possible so skin appears and feels plump, hydrated and healthy. HA is naturally found in the skin but as we age, levels decrease which results in dullness, fine lines, wrinkles and uneven skin tone/texture.